Machine learning is taking the tech world by storm. Recently, an announcement that Google was open-sourcing Tensor Flow, their machine learning (ML) software, and Microsoft quickly followed suit. 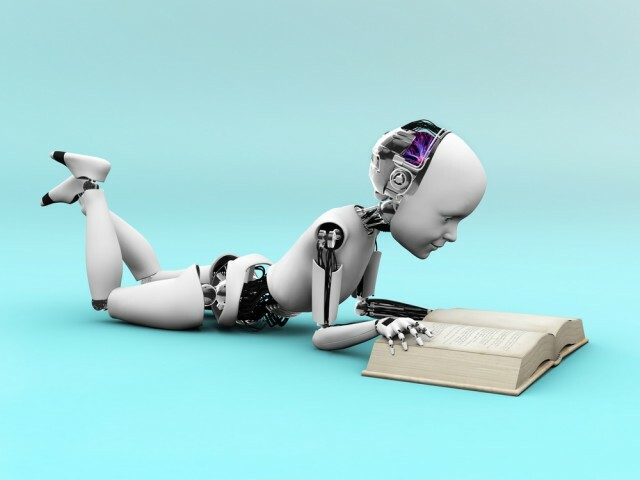 Baidu and Amazon unveiled their own deep learning platforms a few months later, while Facebook began supporting the development of two ML frameworks. But the revolution has spread far beyond the tech realm. In fact, some of the more recent applications of ML technology aren’t just innovative; they’re weird and surprising. Judges routinely have to decide whether a criminal defendant should await trial in jail or at home. It’s a tough call: jailing a defendant saps government resources (and, if the defendant is found not guilty, forces an innocent person to languish behind bars), while allowing a defendant to wait at home poses the risk that they might flee or commit another crime. But a group of economists and computer scientists might have made the decision a little easier. Using data from hundreds of thousands of New York City cases, the group trained an algorithm to predict whether defendants were a flight risk. The algorithm draws on a defendant’s rap sheet and court records to make the call. When the algorithm was tested on cases it had never seen before, it dramatically outperformed experienced judges. Is it possible to figure out whether someone is a psychopath just by looking at their Twitter feed? Though anyone who’s gotten into a flame war with an egg avatar might have figured this out a while ago, researchers now have data to suggest a link between certain Twitter quirks and psychopathy. The study draws on a 2011 study identifying language patterns among diagnosed psychopaths to build a machine learning algorithm that finds such patterns in Twitter feeds. Participants completed a self-assessment designed to gauge personality traits like machiavellianism, narcissism, openness, and extraversion. The ML system then analyzed their Twitter feeds and privacy settings, finding strong correlations between language use and psychopathic tendencies. Twitter users who cursed often, who were fond of the words "we" or "hate," and who punctuated their tweets with filler words like "I mean" and "um" were systematically more prone to psychopathy than their counterparts. Cyclists in the Tour de France often struggle to figure out their position relative to other competitors. About two hundred cyclists compete in the race, and TV crews don’t have their cameras on all of them all the time -- which makes it hard for coaches and participants to figure out their strategy once the race has begun. That’s why data scientists have developed WinningAlgorithms. WinningAlgorithms is a machine learning system that mines the social media feeds of spectators along the route of the Tour de France, as spectators provide up-to-the-second data on where their favorite cyclists are. The algorithm also has the ability to parse out fact from fiction, deciding which social media posts are exaggerations and which are accurate representations of the event. Cornell’s Bioacoustic Research Program is using machine learning to decrease shipping vessels’ environmental footprint. Shipping vessels rely on navigation technology to optimize transport routes -- but even the most advanced navigation systems can’t predict when a sea creature might swim in front of the ship. Accidental collisions between transport ships and whales have left the North Atlantic right whale nearly extinct. To keep the last four hundred right whales safe, Cornell researchers trained a machine learning system using a dataset of recorded whale calls. They then deployed a worldwide buoy network that scans the ocean for whale calls, predicting a whale’s location and trajectory given the distance of their calls between buoys. Legal documents are not for the faint of heart. But not everyone has the time or resources to hire a lawyer, and those who brave legal documents alone might find themselves wishing they’d opted for an easier activity, like reading a Hungarian newspaper. Those who quickly skim legal docs -- or, even worse, don’t read them at all -- might find themselves subject to penalties they never anticipated. But Legal Robot has built a machine learning model that translates legal language into everyday-speak. Using deep learning and topographical data analysis, Legal Robot can both processes legalese and decide whether a contract contains elements that shouldn’t be there, like royalty fees in a non-disclosure agreement. Companies like PayPal employ analysts who are constantly on the lookout for signs of money laundering. An analyst who detects an anomalous transaction that looks like laundering follows a standard procedure: they devise both a "good story" (that explains why the transaction might be legitimate) and a "bad story" (that explains why it might not be). But, as with any manual system, it’s imperfect. That’s why PayPal has designed a machine learning system to prevent money laundering. Using deep learning and other tools, the system can adjudicate between legitimate and illegitimate transactions with greater accuracy than a human analyst. If you’re a programmer or you work with computers, you’ve probably relied on Stack Overflow for answers to your programming questions. Like any online forum, though, Stack Overflow gets its fair share of posts that are spammy, inflammatory, or just off topic. And given the volume of posts they see each day, moderators sometimes struggle to parse out the good from the bad. That’s why Stack Overflow held a contest where users were asked to create a machine learning program that could predict when a thread would be locked. The winner user created a model that could predict thread closures with astonishing accuracy. Anyone who’s ever languished in the purgatory of an ER waiting room knows about the unpredictability of hospital wait times. Sometimes it’s three minutes, sometimes it’s three days, and there’s no telling when or why…until now. A group of researchers have developed a machine learning algorithm that can predict hospital wait times. The system weighs different variables -- whether it’s a holiday weekend, how cold it is outside, how many people are on staff -- to calculate how long a patient will be there. The accuracy of the system increases over time, as it learns how many people come in on Saturdays, or how many staffers tend to call in sick on a given day. It’s often pretty easy for experts to predict the sale price of a precious item like an historical artifact, a famous painting, or a rare car. But what about a bulldozer? Used machinery, like bulldozers and earthmovers, goes up for auction all the time. However, price varies considerably between auctions. Thanks to recent innovations in machine learning, though, it’s not going to be a problem for much longer. Models trained on wide range of data, from the size of a bulldozer’s tires to the historical auction prices of similar equipment, can predict final sale prices with over 60 percent accuracy. About 10,000 people die in earthquakes each year, so researchers are always on the hunt for ways to predict earthquakes and their magnitude. A pair of scientists at Los Alamos National Laboratory have taken a crucial first step in that direction. The researchers created a laboratory earthquake simulation: a model consisting of blocks separated by a chasm, or "fault line." They then trained a machine learning algorithm to detect acoustic emissions from the model. In other words, by learning what an earthquake "sounds" like just before it happens, the model knew how to "listen" for future earthquakes. The ML model performed with astonishing accuracy, even detecting when an earthquake was not imminent -- a feat that has largely eluded geologists. Roxanna "Evan" Ramzipoor is a writer for Sift Science, a trust platform that offers a full suite of fraud and abuse prevention products designed to attack every vector of online fraud for industries and businesses across the world.